It looks like our campaign to bring comedy back to tech is starting to work: according to Mozilla's VIP of engineering, Internet Explorer is like malaria. "A lot of people have had malaria and a lot have got it, but it doesn't mean that they have to choose it", Mike Shaver said. Did you hear that, Microsoft? Mozilla's just totally dissed you! What are you going to do about it? We suspect that the answer is "nothing", and that's a shame. What we'd like is for Microsoft - and every other tech firm - to start comparing their rivals' things to other things. The more bizarre, politically incorrect and downright immature the better. "IE is like malaria, is it?" Microsoft could say. "Well! 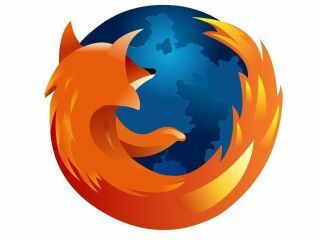 Firefox is like a big fat boy on a girl's bike! And also, your mum is fat!" The tech industry prides itself on its innovation, so let's see some innovation in PR. Let's dump anodyne marketing nonsense such as Steve Jobs' supposed "Customers are voting and the iPhone is winning" quote and replace it with something more fun. This is a great opportunity for the tech industry. Firms could express their brand values in their put-downs so, for example, Apple insults would be haiku-like in their simplicity but open to endless analysis, Microsoft ones would be focus-grouped to ensure the widest possible comic appeal, and O2's insults would only be funny in cities. Opera's insults would make 1% of the internet die laughing, Google's insults would be funny at first but faintly sinister the more you think about them, and MySpace's insults would be incomprehensible to anybody over thirteen. We know the industry can do it - Microsoft's "unicorn tears" dismissal of Apple killed us - but all too often the fun stuff is reserved for bigging up companies' own products. Take Bungie's Jason Jones, who described Halo 2 as "a lot like Halo, only it's Halo on fire, going 130 miles per hour through a hospital zone, being chased by helicopters and ninjas. And the ninjas are all on fire too." Imagine that mental firepower used not for good, but for evil. What a wonderful world this would be.